The National Conservation Training Center (NCTC) is home to the first certified Nature Explore Classroom in the state of West Virginia. This classroom was constructed on the grounds of NCTC at the Children’s Tree House Child Development Center where nature-based learning is embraced. This beautiful site will serve as a national model to encourage other field stations throughout the U.S. Fish and Wildlife Service to create similar spaces at their own site. Students from the local Harpers Ferry Job Corps were instrumental in bringing this project to life; they completed the installation, developed walkways, and created unique natural features. 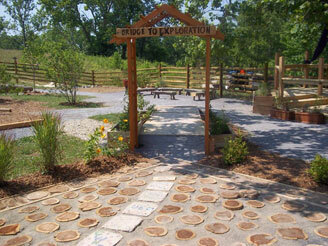 Logs, rocks and other natural objects were chosen from the property to fill the outdoor classroom. 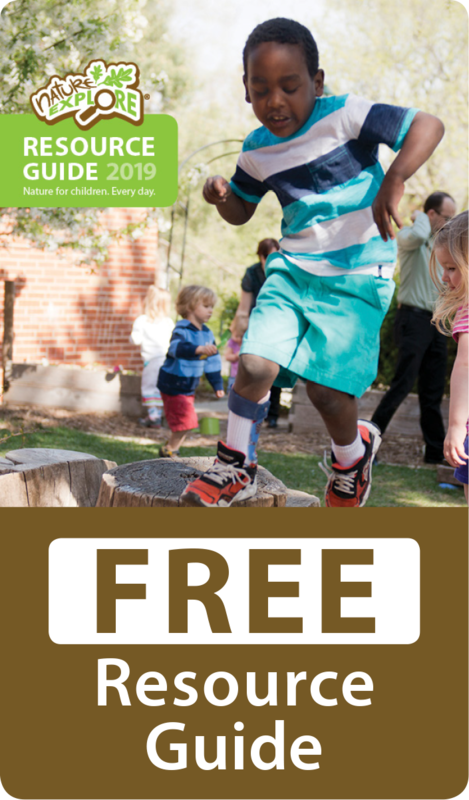 Local native plants were purchased to delineate areas and connect children with the textures, smells and beauty of the natural world. Stone and aggregate from a local quarry were brought in for pathways. Unique names such as; Wide Open Spaces, Relax and Reflect, West Virginia Native Plantings Pathway and Move to the Music were given to areas. This helps children remember the layout of the space and empowers them to make their own plans to engage in different kinds of activities. The terrain and natural surroundings provide both beauty and clarity for the overall design. Children, families, local community and staff volunteered over 2800 hours to create the Nature Explore Classroom. Pizza pavers, installed at the entrance and throughout the classroom, recognize those involved in creating this amazing space.